Where's the pothole? You know, that pothole. The one that gets you every time. Well, Bergen County, meet your new best friend: The Pothole Killer -- a new machine that repairs 140 per day in the area. 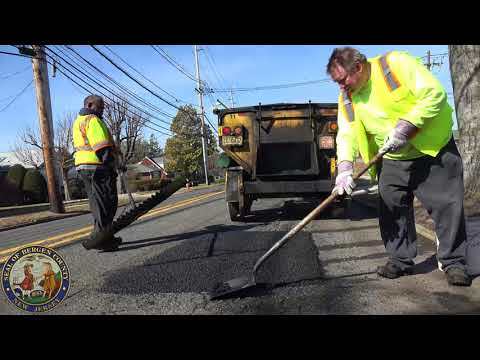 Bergen County Executive Jim Tedesco is urging residents to call the Pothole Killer hotline to report potholes that pose a risk to motorists and neighborhoods -- 201-336-7675. “After a harsh winter, Bergen County DPW is actively addressing potholes on county roads,” Tedesco said.